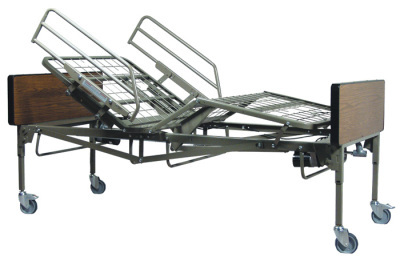 The Patriot Hi-Low full electric bed is fully electric and makes position adjustments and bed height changes easy. We are proud to offer this made in America bed by Gramfield American Metals. It has a convenient handheld pendant where all motor functions can be controlled. It has no external pinch points for everyone's safety. The bed is easy to move and utilizes a grid support system that provides great mattress support with no spring sag or bottoming out. 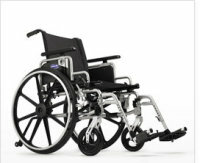 Progressive Medical is your source for high strength, lightweight wheelchairs. 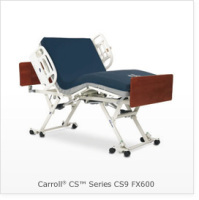 We offer serveral models both standard and bariatric. 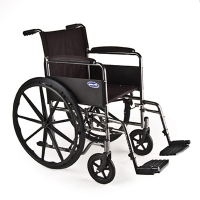 Wheelchairs can be customized to the patient and ordered with accessories such as articulating leg rests and anti-tippers. 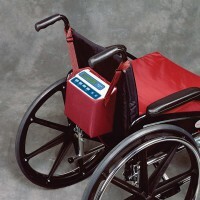 The Mobile Air Chair fits standard wheelchairs providing an alternating pressure air seating surface. The twelve 2” thick air cells alternate pressure every two minutes. It has a rechargeable battery that lasts up to 14 hours. The Air Chair is compact, durable and lightweight. Custom sizing and seat backs are also available. We feature the Roho seat cushion which makes wheelchairs more comfortable and provides pressure relief to prevent and heal sores. The Shape Fitting Technology continually adjusts to every movement. 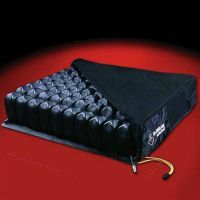 We also offer a wide variety of foam, gel, and foam-gel combination cushions at very competitive prices. We offer a variety of roller walkers to meet your needs. They have ergonomic handbrakes that lock the rear wheels for security and safety. 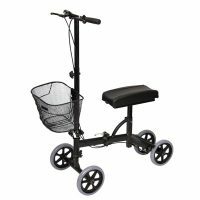 Additional features include backrests, solid wheels, flip up seats and baskets if needed. 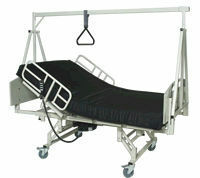 They fold into a compact unit for storage and transport. Call today so we can help you select the best unit for you. 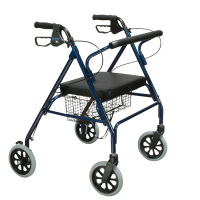 We offer comfortable knee walkers with easily adjustable handles and knee pads. They have a tight turning radius for excellent maneuverability. Most have a storage basket and all have easy to squeeze lever brakes. 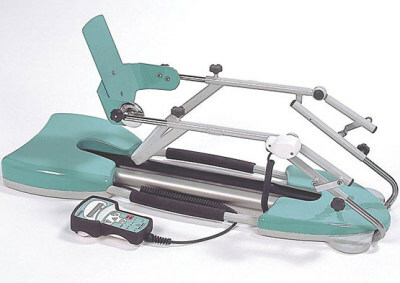 Progressive Medical offers Continuous Passive Motion machines (CPM) to facilitate the rehabilitation of the knee. The machines provide true anatomical motion for the knee. 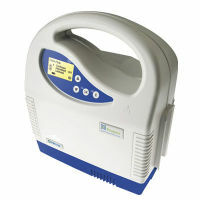 CPM machines help reduce pain and swelling, inhibit scar tissue and maintain and increase range of motion.